Honestly, I miss the days when Uglydoll just sold, well, Uglydolls. Since they went mass-market, I just can't move any of their products. It's not for lack of trying... I've bought a bunch of their different items over the past couple years. 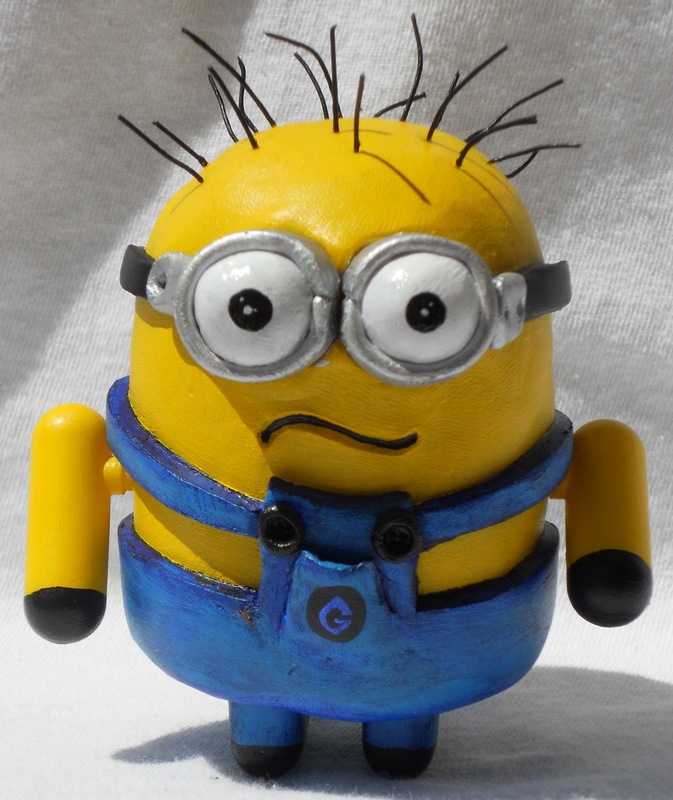 The market's just flooded with Uglydoll products. Nothing I get from them sells anymore. So sad. Used to be one of our top sellers. Toy Invaderz opens tonight in Chicago's Wicker Park neighborhood! 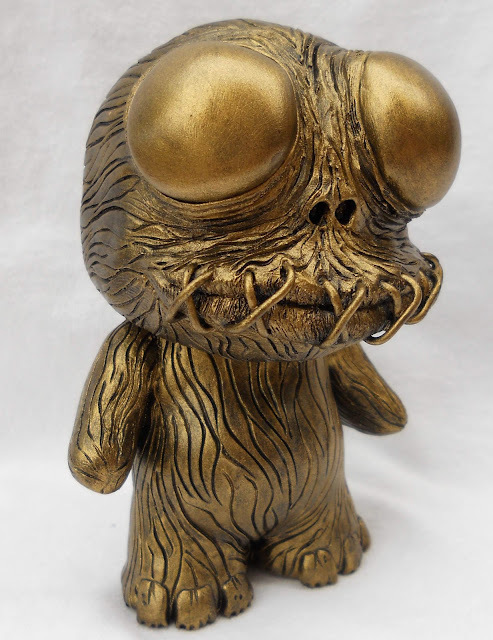 Click here for the Toy Invaderz page on our website, where the customs will be sold starting next week. 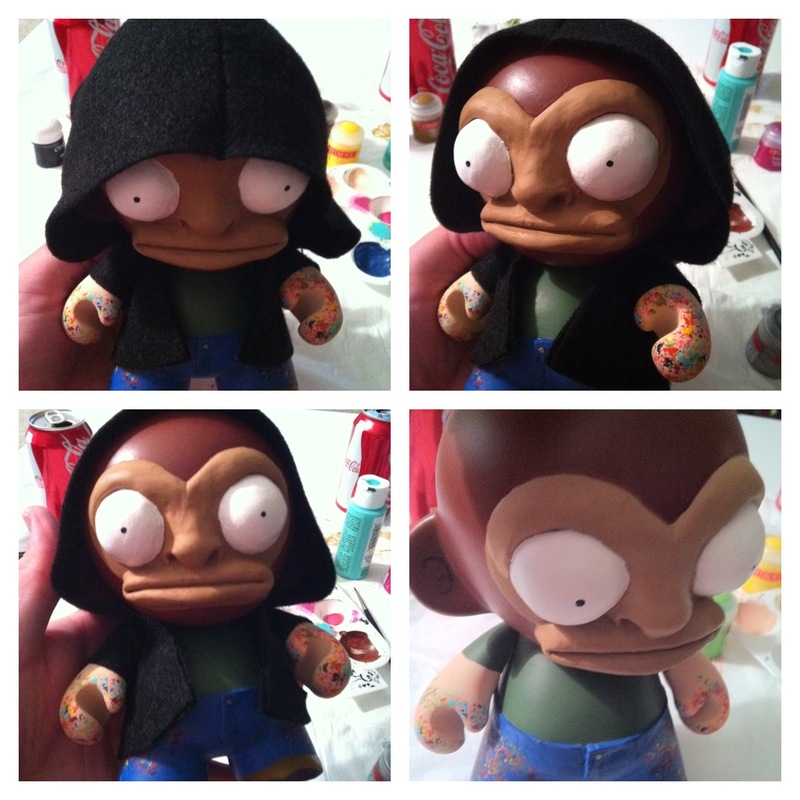 Here's a custom by someone named George Johnston. It appears to be a 7-inch Munny. Aside from that, I got nothin. No links, price, info or anything. But it's a cute little bug-eyed dude, innit? Future, originally uploaded by rampage.toys. Jon writes: "NYCC is going to be AMAZING this year!" Yes it is, Jon, yes it is. 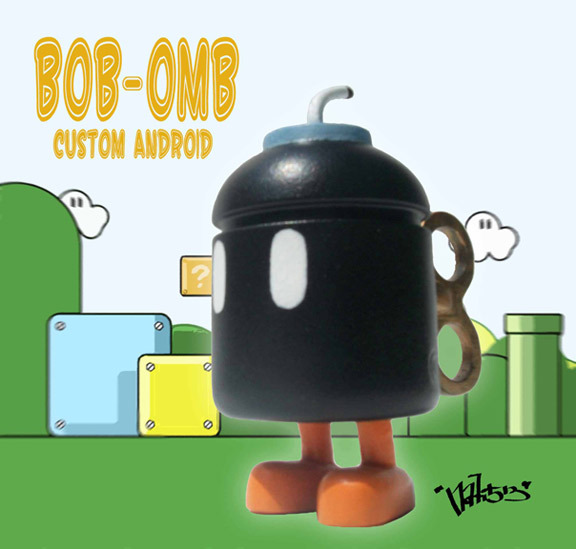 Another cool custom Android by Bengi aka nati513: this Mario-themed Bob-omb is perfect in its simplicity! Nice work. Available in our shop here. You can buy Davemarkart customs in his shop here, or on our website here. Dave's a good guy. We're happy to support him and the sale and promotion of his artwork. 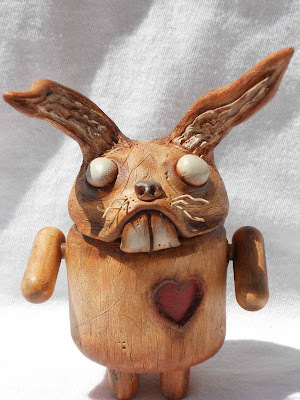 "WOODEN YOU LOVE TO LOVE SOMEBUNNY"
ALIAH - Trailer from LAB81 on Vimeo. Between reality, dreams and dreams of reality, time goes by. 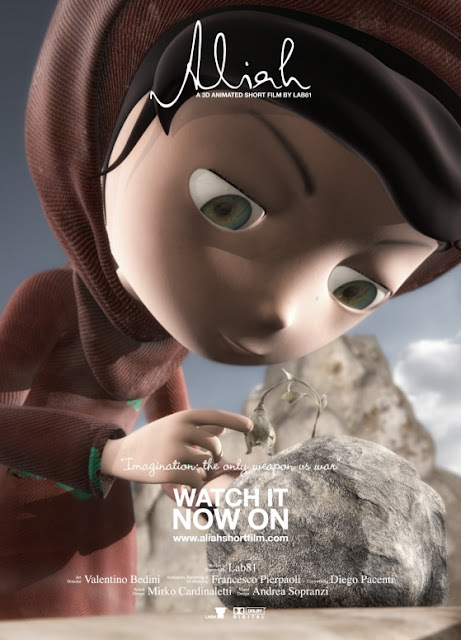 Seeing and listening the harmony of a carillon to find serenity in spite of the cruelty of war, through a dream and the eyes of an Afghan little girl. Aliah. The carillon, symbol of memories and time passing, makes everything sweeter through its melody. Hope for a better world. We are very pleased to announce the launch of another Tenacious Toys artist exclusive custom series: Jason Chalker of Manly Art got his big Texan mitts on a bag full of tiny little 1-inch tall Mini Berties from infamous Hong Kong toy manufacturer ThreeA. 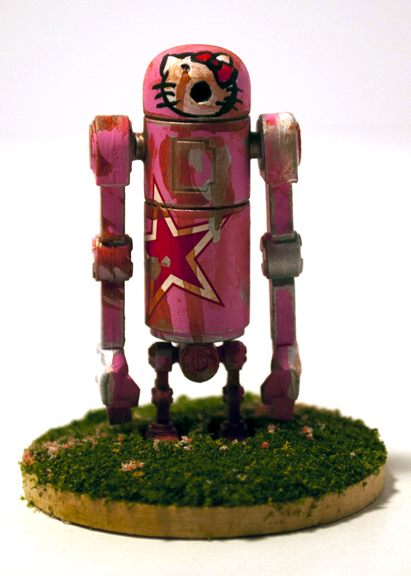 He then proceeded to customize them in the least obvious manner possible for a Texan: creating a Hello Kitty homage x 3A mashup that works surprisingly well. 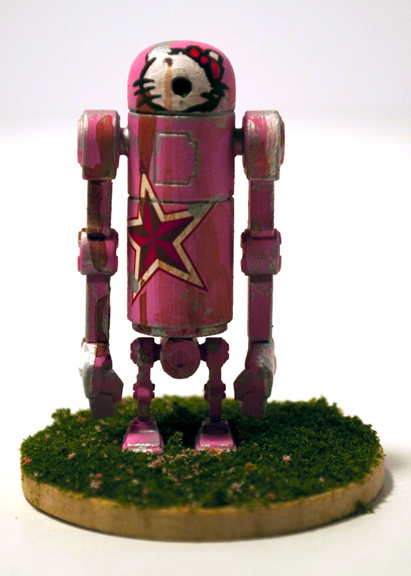 Jason painted up 18 of these figures, with the star graphic coming in 4 different variants as pictured above. 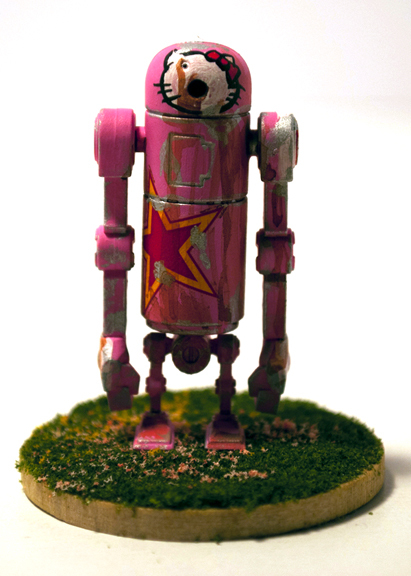 Each figure is painted and weathered uniquely, and comes affixed to a grassy base. 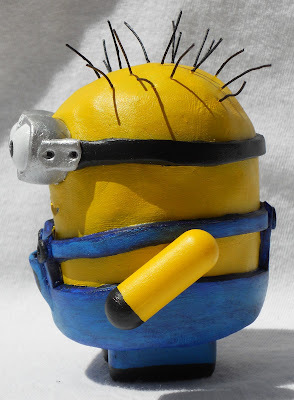 I think this was a smart move, given the fact that Mini Berties have feet that are about 2 millimeters long. Not very stable for your display shelf without being affixed to a base! Additionally, each figure comes packaged with an original, Hello Bertie-themed sketch card by Jason. The actual figures that I'll be sending to customers, and the sketch cards each order gets, will be picked randomly (for example, if you pick the Hello Bertie with a star with no dark outline, I'll randomly pick one of the 5 pieces like that, and randomly pick a sketch card to go along with the order). Each Hello Bertie / sketch card combo is $25 and you can buy yours here. 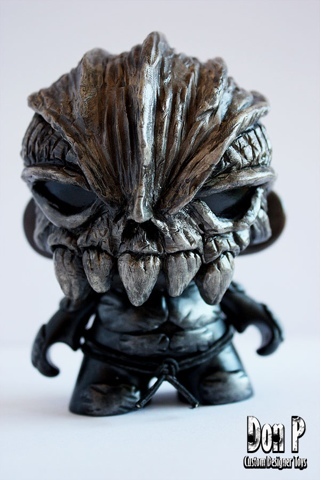 Looking at the close-ups below, you have to keep reminding yourself that these customs are one inch tall. 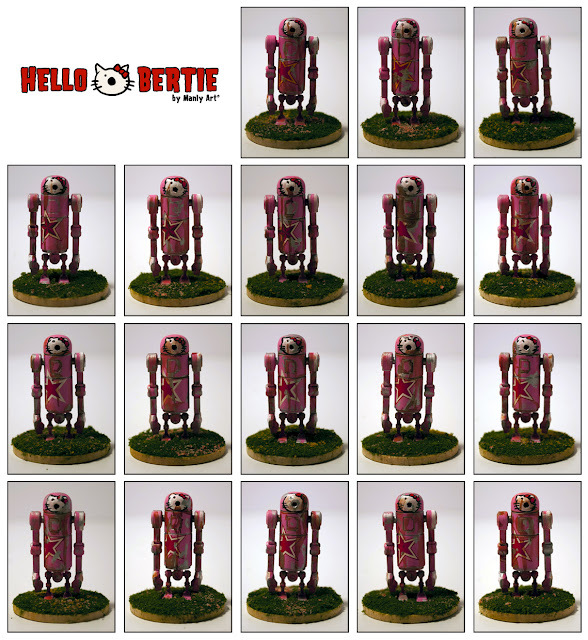 Painting those Hello Kitty faces on the Berties' heads must have been a real exercise in patience... To get yourself some of Jason's handiwork, head over to the Manly Art page on our website, or just click here for the Hello Berties. 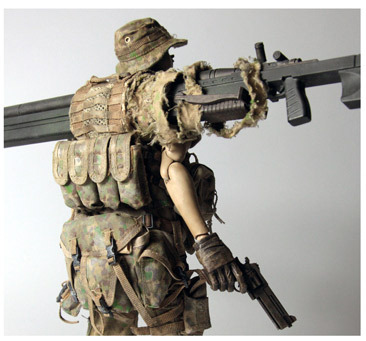 Many more close-up images available in each product listing. 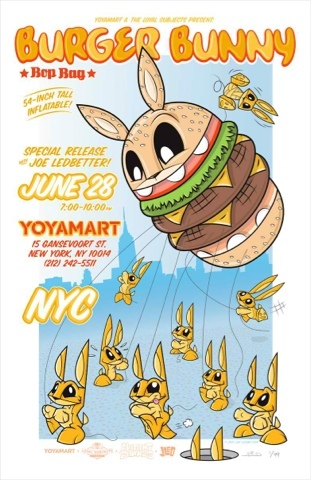 Joe will be appearing at Yoyamart ce soir in support of the Yoya Exclusive Burger Bunny Bop Bag! 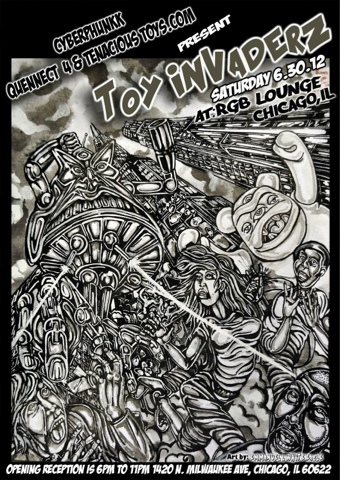 Llimited supplies of the Burger Bunny Bop Bags, an Exclusive Yoyamart print (edition of 50), Burger Bunny Men's and Women's Tees as well as limited Joe Ledbetter art toys will be available. Come on out and have Joe personalize your Bop Bag! 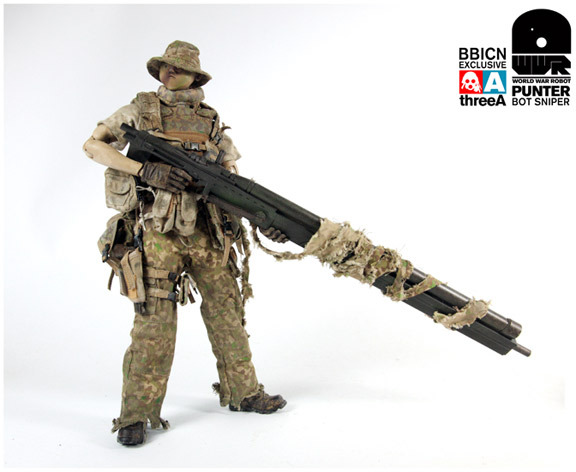 The BBICN "exclusive" Punter Bot Sniper 1/6 scale figure by 3A is almost ready to ship out to us. We have one or 2 left unsold out of our whole shipment. 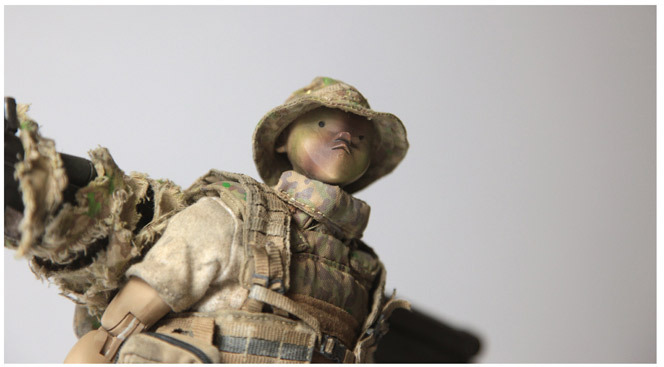 You can snap one up here, and be sure to check out the rest of our 3A inventory here- Adventure Kartel figures, Heavy Brambles, custom Mini Berties all available now! 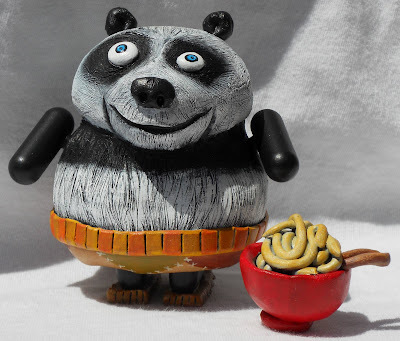 Nicely sized at 1.8-inch wide by 1.5-inch high and 1.6-inch deep, Shawnimals new vinyl Pocket Pork Dumpling blind-box mini figures are perfectly collectible! 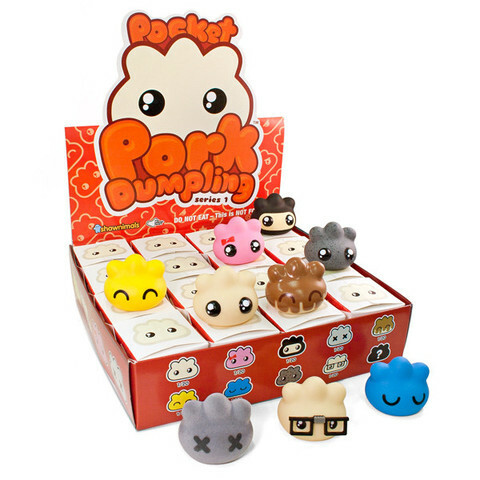 The first series will consist of 12 total designs (9 main + 3 chase) in a blind boxed assortment packaged in adorable, mini take-out style boxes. Designs are a sweet mix of classic styles found in past plush series, along with many new designs never seen before. Look for another post in the near future with more pics and a link to buy these sweet little mini figures! 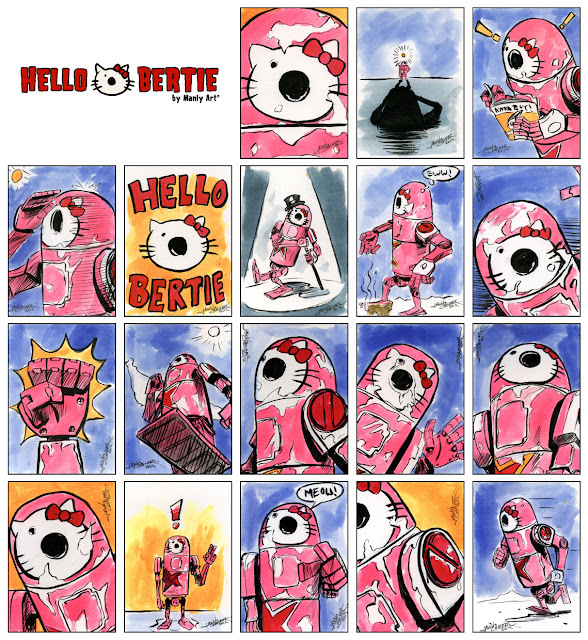 The Hello Bertie custom series (and these accompanying sketch cards!) will be up for sale soon (couple of days) in our Manly Art section. 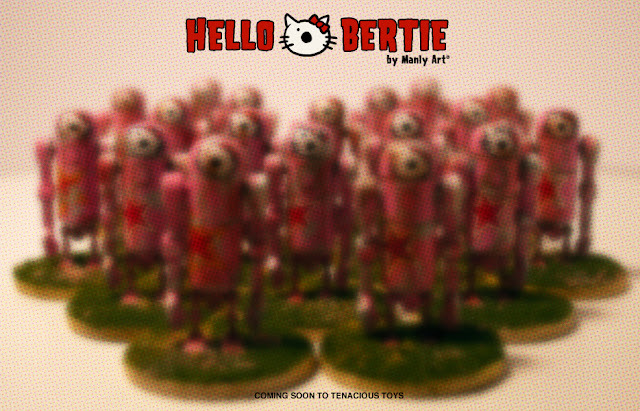 One sketch card will come with each Hello Bertie. We're very excited to announce our next custom series from ManlyArt's Jason Chalker: Hello Berties, a custom series based on the 1-inch tall Mini Bertie platform by 3A. There will be 18 of these figures in the series, in 4 different variations, and each will come with a sketch card by Jason Chalker. More info to come soon! Our friend Bengi (aka nati513) has modified VA Paper Toys' Street Dog template to create a Tenacious Toys Danger Dog paper toy! He kindly printed out and constructed one of these himself and mailed it to us (pics above). You can do the same by clicking here. Download the paper toy image / template on that page (it's the huge image that doesn't fit on the page), print it out, and cut and glue it into the shape above! Once you create your Tenacious Street Dog, take a pic and email it to us! We'll update the page with your images of the constructed Tenacious Street Dog, along with your name, location and a link if you want us to post that. Try to take a picture with a local attraction (like the Eiffel Tower if you're in Paris, or Big Ben if you're in London...). 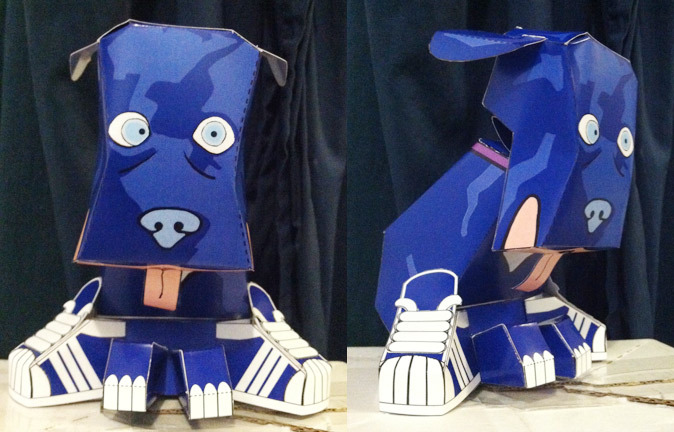 Big, huge thanks to Bengi and to Willie Beren of VA Paper Toys!!! 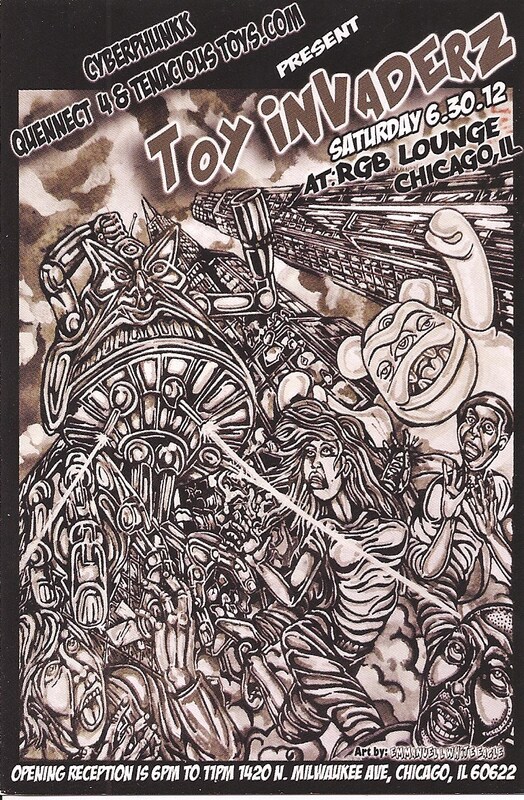 Definitely check out this show in Chicago, IL on June 30th! Many talented artists involved! We will be handling online sales after the show. 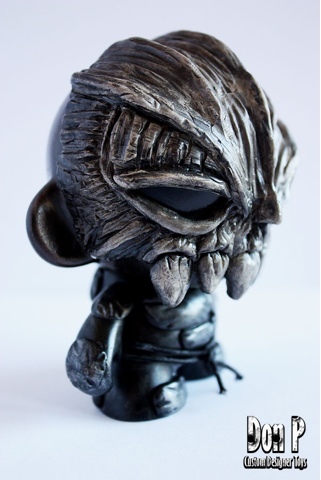 Don P custom Bub "Skryton"
This pre-order is the first release of the Cyclops Dinos - T-clops, Anklyo-clops and Bronto-clops! 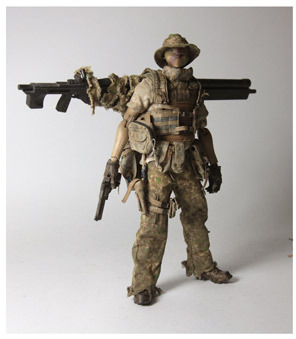 This release is being sold as a set of three figures. 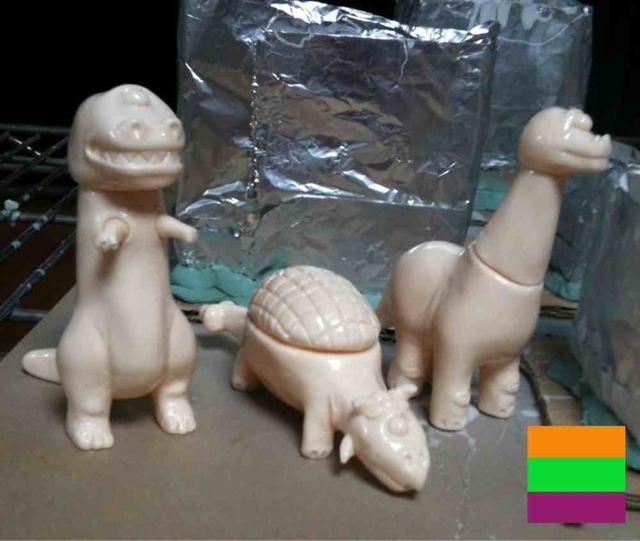 Each figure is around 3 inches tall/long (the same size as all your favorite vintage kaiju sofubi! 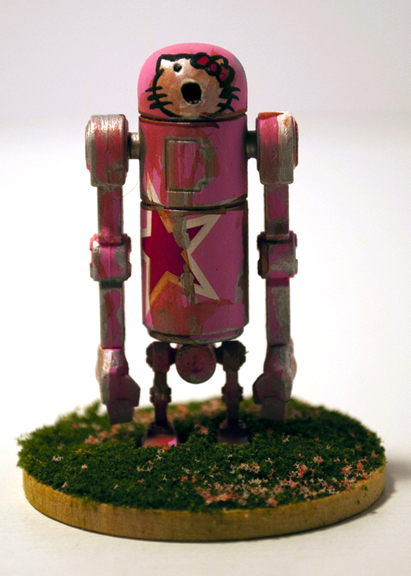 ), and is articulated in 2 or 3 spots. These will be super fun to play with, and also a blast for mixing vinyl parts and colors!